3M TR-800-HIK 3M™ Versaflo™ Powered Air Purifying Respirator Heavy Industry Kit TR-800-HIK, 1 EA/Case | Products | Personal Protective Equipment | Respiratory Protection | Air Supplied Respirators | PAPR | PAPR Kits | Scientific Sales, Inc. The TR-800-HIK is a complete Powered Air Purifying Respirator featuring an Intrinsically Safe motor/blower and including everything required to get started. This ready-to-use kit provides a simple way to purchase a complete PAPR system for use in rugged industrial environments. 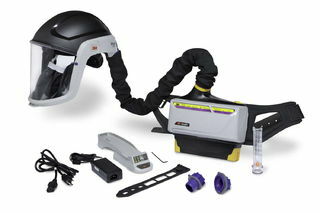 The TR-800-HIK is a complete Powered Air Purifying Respirator and includes everything required to get started. This ready-to-use kit provides a simple way to purchase a complete PAPR system for use in rugged industrial environments. The TR-800 is a motor/blower certified by UL with an intrinsically safe (IS) rating of Division 1: IS Class 1, II, III; Division 1 (includes Division 2) Groups C,D,E,F G; T4, under the most current standard (UL 60079, 6th Edition, 2013). 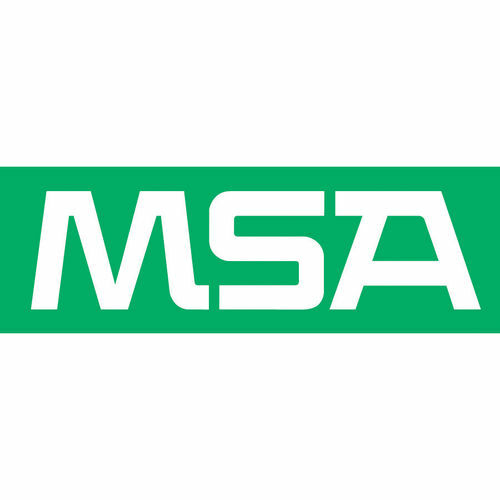 The kit includes: M-307 Respiratory Hard Hat Assembly with Premium Visor and Faceseal, Intrinsically Safe TR-802N PAPR Unit, TR-830 Intrinsically Safe Battery, TR-838 Battery Attachment Tool, BT-30 Length Adjusting Breathing Tube, TR-626 High Durability Belt, TR-6530N OV/AG/HE Cartridge, TR-6500 Filter Cover, TR-641N Single Station Battery Charger Kit, TR-971 Airflow Indicator, BT-926 High Temperature Breathing Tube Cover, TR-6600 Prefilter (x2), TR-662 Spark Arrestor (x2) and TR-653 Storage and Cleaning Kit. Cover your bases - Utilize cartridges to help protect against certain gas and vapors, combined with filters for protection against particulates. Fewer worries - Rugged, durable faceshield with premium visor helps protect against sparks and debris. Feel heightened comfort - Heavy-duty belt designed with airflow channels, multiple size adjustments and belt extender options. Work with ease - Intuitive, colored touchpoints plus visual and audible lowflow indicators help make the TR-800 easy to use. Keep the air flowing - Multi-speed blower functions up to 16,000 feet and battery offers long run time, less charge time and, ultimately, reduced down time. Country of Origin: USA with Globally Sourced Materials.